It has been a busy old week in Howden. Mike Watson and I have spent our time with the Daily Mail trainee subs and online journalists at PA's splendid training centre in the Manor. The online trainees enjoyed a good couple of days with Mail training manager Nick Enoch at the beginning of the week. By the end the group had created web and newspaper pages on the Scottish referendum result. Meanwhile The Daily Telegraph trainees learned about data journalism with Paul Bradshaw, investigative journalism with Philip Braund, interviewing with Tony Johnston and talks by Telegraph executives Richard Preston and Georgina Tremaine. Yesterday both groups got together to do the newsquiz. This week's winner was the Telegraph's James Rothwell with an excellent 18 out of 24. He narrowly beat colleagues Sophie Jamieson and Olivia Rudgard with 17. The top scoring Mail trainee was Michael Owens with 16.5. It was a high scoring week ... can you do any better? 1. To the nearest whole number, what was the percentage turnout in the Scottish Independent referendum. Bonus - Only four out of 32 areas voted Yes. Glasgow and Dundee were two, name the other two. 2. Who is Sheridan Smith portraying in a new ITV biopic? 3. In which country did a woman commit suicide by jumping into a pond of crocodiles? 4. 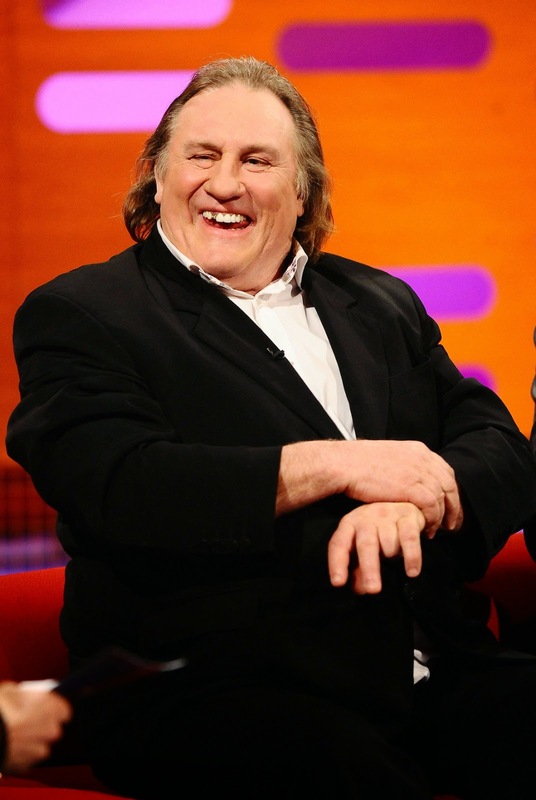 French actor Gerard Depardieu claims he can drink up to how many bottles of wine a day? 5. Which golfing great nearly lost a hand while using a chainsaw? 6. A new film has been inspired by Oxford's Bullingdon Club. Name it. 7. Why was David Barclay in the news this week? 8. The latest British hostage to appear on an IS video, photographed Prince William and Prince Harry during what charity event in 2008? Bonus - What is the hostage's name? Bonus - How old is hostage Alan Henning? 9. What is Amal Alamudding scheduled to do next Saturday? 10. British/Iranian woman Ghoncheh Ghavami has been in jail in Iran for 80 days. What was her offence? 11. What is the name of the island where two British backpackers were murdered? 12. Which female icon was investigated after being accused of using the f-word? 13. Which troubled company was sold by its founder, John Caudwell, for £1.5 billion in 2006? 14. Seven British football teams were competing in Europe this week but only two won. Name them (half point each). 15. Grandmother Sonia Powell died in a queue of 15 ambulances outside the Morriston Hospital in which city? 16. Her real name was Marie Chilver, but what was her other name as released by the National Archives? 17. What is allowing women to become members after 260 years? 18. What innovative idea has been introduced in Chongqing, China? 19. Which blockbuster author said his success had cost him a close relationship with his children ... who had 'done nothing to win his respect’. 20. Why did the Colombia Ladies Cycling Team’s kit, cause a few raised eyebrows this week? This is an excellent post I seen thanks to share it. Do you phone hack or phone-hack?